As telecommuting and freelancing become more common, temporary office space rental is turning into a viable alternative to working from home or a traditional office. 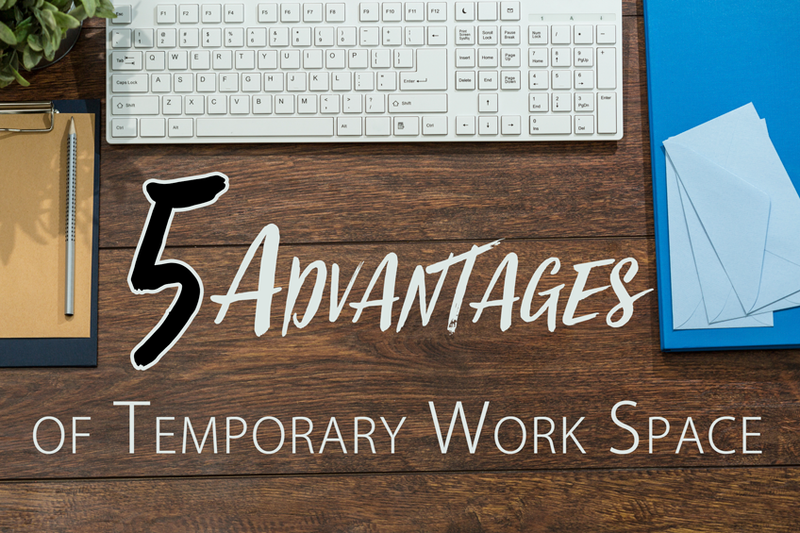 There are several advantages to renting temporary office space including access to meeting rooms and the ability to establish a better work-life balance. Renting temporary office space offers telecommuters, entrepreneurs and freelancers a professional, quiet alternative to meeting with clients at their homes or in overcrowded coffee shops. Kids, pets, delivery drivers, televisions, laundry, and that huge pile of personal mail are all big distractions. Many people find minimizing workday interruptions difficult, and numerous interruptions can turn an eight-hour workday into a twelve or fourteen hour one. 4. Low Maintenance. Work and Go Home. Management or owners of the temporary office space assume the responsibility for the maintenance of offices, bathrooms, and shared internet. Renting a private office on a monthly or yearly basis, particularly in a large city like Chicago, is a pricy option. Rent is usually high, as is the cost of furnishing the office, buying office equipment, paying utility bills, cleaning the space, and paying contractors to address any necessary building maintenance. In addition, many commercial landlords require tenants to sign long-term leases. Utilizing temporary office space allows visitors and members to share the costs of utilities, Internet, and office space, while offering a la carte rentals or short-term membership plans. If you are tired of long-term rental contracts, distractions at home, or the lack of available tables at the local coffeeshop, we’d love to show you a better way at The Day Offices of Bloomingdale. We provide temporary office space rental to those in Roselle, Bloomingdale, and the greater DuPage county.